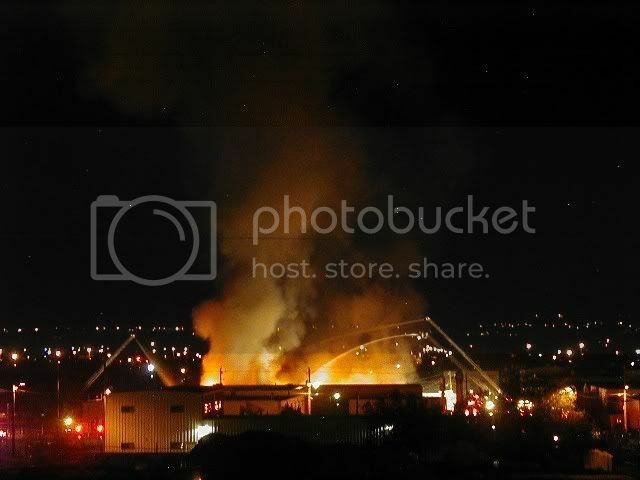 The following picture is of a building near my office going up in a large 3-alarm fire late last night. The building at the intersection of Edith and Industrial Ave NE is just 2/10th of a mile from my office. The fire, which was reported around 9:30pm last night quickly grew from a 1-Alarm to a 2-Alarm and then into a 3-Alarm fire. More then 60 firefighters responded to the fire. 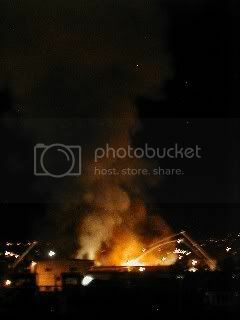 By the time I got down to the office around 10:45pm to secure the building, the fire had already engulfed a large area of the building that was on fire. 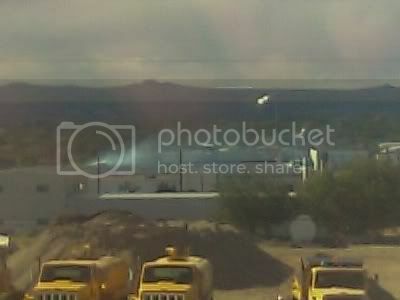 Even this afternoon, more then 18 hours after the fire started, smoke could still be seen pouring out of the building. I also hope that no one was injured, that it was just damaged property. That must have been scary heading to work and seeing all that. Did they close your job to, because of the smoke fumes? Ya, it was a was scary being so close to my office. Somehow they were able to keep it contained to just one part of the muti-tenent building. It was not so much scary driving up and seeing it, as it was having it be the lead story on the news, and the only give you major cross streets and then they goto the live shot and you notice that its right at your street! that's right by my house and i didn't even know! How did you miss that? 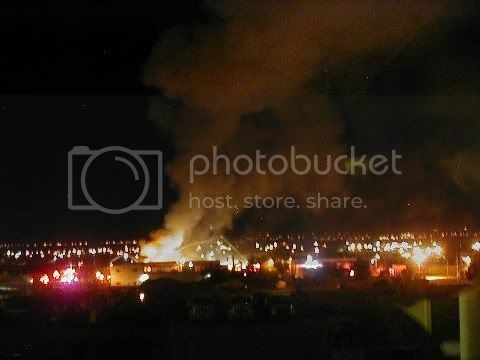 It was freaking huge fire! Smoke filled the whole city!